1. Be patient with yourself and others. 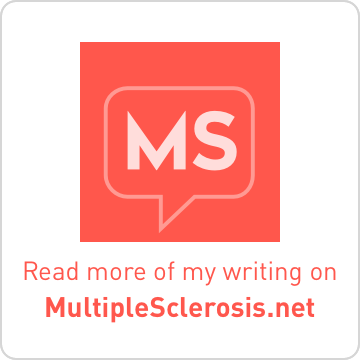 Just like a baby isn’t born with the skills to run, jump, or do calculus, you are not suddenly equipped with all the knowledge and skills you need to handle every challenge caused by multiple sclerosis (MS). It takes time to grow and mature into living a good life with chronic illness, but doing so becomes easier more quickly if you don’t try to do it alone. 2. Don’t expect others to know what you need, what you are thinking, or what you are experiencing unless you share that information and are willing to talk about it openly and honestly. Communication is a vital component of life; use it to your advantage as you continue to improve your communication skills. 3. Doctors are ultimately our partners, not our gods or slaves. If you want to “be fixed” by medical professionals, it won’t happen. If you want to dictate every bit of your medical care, without allowing for an open dialogue (see #2), you will not receive the best care. Find a doctor with whom you can develop a good working relationship. Be honest with your doctor, and yourself, and trust that he/she is there to help you. If you cannot have this type of doctor-patient relationship, it is your responsibility to find a doctor with whom you can partner. 4. Be prepared to learn more than you ever wanted to know about health and the human body. While you are educating yourself, so that you can truly participate in your own care (see #3), stay curious about how the body works. 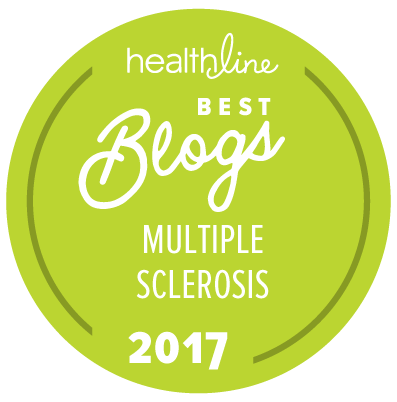 Stay on top of the latest understandings about multiple sclerosis symptoms, causes, treatments, research, etc. Don’t become obsessed, but do become empowered with knowledge. 5. Seek the ‘silver lining’ in difficult circumstances. Maintaining a positive outlook is important for staying motivated to take care of yourself in all aspects of life. It can be too easy to live in despair, or to feel dwarfed by the barrage of challenges MS may throw at you. As long as you can hang onto a kernel of light, you can feed that light and watch it grow and shower your life with unexpected blessings. 6. MS may change your life, but it doesn’t change who you are down deep. Watching your hopes and dreams for the future effectively dissolve in front of your eyes is god-awful painful - don’t let anybody tell you otherwise - but you are much more than what you do (professionally). This is one lesson that I have to remind myself over and over again - each time I feel sad about having been on the verge of “making it” when MS intruded and changed the roadmap of my life. But most importantly, continue to have dreams. 7. Just as it’s okay to cry and get angry, it’s also okay to smile and feel happy. The most important thing (it seems to me) is to acknowledge your emotions, honor them, and to allow yourself to feel them fully. The more you allow positive emotions to flow, the greater they grow and thrive. The more you honor your own negative emotions, the more quickly they dissipate into smoke and float away. 8. A sign of strength is the willingness to ask for and accept help. You do not need to face challenges alone. As you practice to develop and improve your communication skills (see #2), it is important to allow others to contribute what they can to your overall well-being. Someday you will be rewarded with the opportunity to help someone else which you will see can be a blessing to both parties involved. 9. Life is less embarrassing than you think. Whether you are reluctant to have people visit because you haven’t cleaned your home to an artificial, perfect standard, or you pee your pants in a public bathroom and need to deal with wet clothing, moving beyond the embarrassment and getting on with enjoying life is vastly more important than closing yourself off from others physically or emotionally. 10. Focus on what you CAN do today to make life better for yourself. No matter what your challenges, there are endless possibilities and actions you can take to improve your circumstances. Somedays, I have to move away from struggling to stay alert to “get work done” - a CAN’T situation - to focusing on listening to my body and giving it what it may need today which is a 2 o’clock nap and cuddle with a soft, fuzzy kitty cat - definitely a CAN DO situation. What lessons have you learned since being diagnosed with MS or any other chronic disease? Share in the comments and you may end up completing #8! 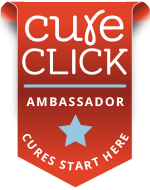 This post originally appeared on HealthCentral. My youngest brother was diagnosed not too long ago. He doesn't communicate much, so I don't have a whole lot of info. I was just told that he has two new large lesions, one of which is in his brain. I feel so helpless and lost and scared for him. What is happening? And what can I do? Is this very aggressive? It seems to be happening so quickly. He is very young and already talks like he wants to give up. Thank you in advance for any thoughts or insight. I'm sorry to hear of your brother's MS diagnosis. The first year was probably the hardest for me and others have similar experiences. 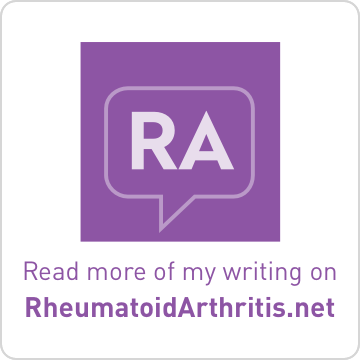 So much to learn, especially with how your own body is going to response to the disease. It's tough on those who love us as well. Your brother could be inadvertently trying to spare the family the burden of dealing with the disease. With MS, it will be common to develop new lesions at some point. If they are active lesions and your brother is in a relapse, then his neurologist may recommend high-dose steroid treatment. Research has shown that starting a disease-modifying drug sooner (rather than delaying) is more beneficial in the long run. If he and his doctor haven't talked about this, then they should. I've read studies that indicate for males diagnosis at a younger age is associated with less severe disease progression. I don't know if this will be true for your brother, but it may provide some hope. What you may be able to do to help him and yourself is exactly what you're doing right now -- learning about the disease and reaching out to others to talk about your concerns. Let your brother know that you are available to him to talk or to help physically (if you are nearby). Just knowing that you care enough to learn something about what he's going through will mean a lot. I don't think that my brother ever mentioned to me that he looked up anything about MS when I was diagnosed. It didn't occur to me at the time because he was a new father and had a very busy life. But in looking back, it would have been nice knowing that he made an attempt to learn more and express love and concern. Please continue to reach out and feel free to let me you how you both are doing.